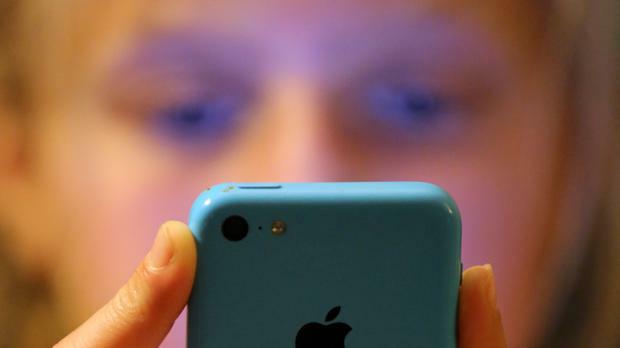 Almost half of Irish secondary school children describe themselves as being “addicted” to smartphones, with 54pc saying they use them behind teachers’ backs while in class. A survey of 2,600 Irish secondary school students by Studyclix also claims that 9pc of secondary school students have signed up for the dating service Tinder. And Snapchat is now the most popular social media service among Irish teens, with 91pc of school-going survey respondents saying they use the messaging platform. This is ahead of Instagram (84pc) and Facebook (80pc). Twitter continues its decline among teenagers, with just 42pc of respondents saying they use the service. However, almost two thirds of students are worried that they use their phones “too much”, according to the survey. The Studyclix research also asked a number of other questions of the school students. Of the 2,623 students questioned, 69pc were female while 31pc were male. Almost half (46pc) were sixth year students, while 18pc were fifth year students and 24pc were third year stundents. Studyclix.ie is used by 90,950 registered secondary school student users and 26,000 registered secondary school teacher users.